I grew up near Philadelphia, so know the old wwwf and liked that. As for others, I guess the Florida area stuff with Dusty Rhodes was fun. Anybody he feuded with became a real terror (Dusty could really make it seem that way anyhow). And if you can find any of the early Bobby Heenan stuff - he was always fun to watch. There u go happy now? Wanted a Key to open the belts right? 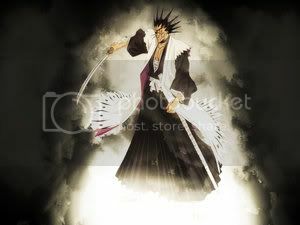 If Kenpachi used﻿ his Bankai, Armageddon, Ragnarok, and every other form of the apocalypse would march from the depths of hell with their demonic legions of death.... then take one look at him and turn tail and run.